M&E is the Place to Be! You Won't Be Saying That After You Make an Umbrella! More Umbrella Classes have been added to the schedule. The first group of umbrellas turned out amazing and everyone had sew much fun creating them. It's amazing how different they each can look based on the fabric that was chosen. Check out the Class Schedule and Sign Up Today. It's a lot of fun and not as hard as it looks. There are also a few spots left for the Bargello Classes that are on the schedule as well as for Twisted. 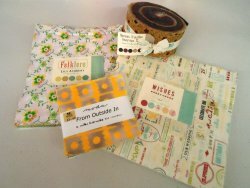 Some of the new precuts that have arrived in the store would look amazing in either of these quilts. 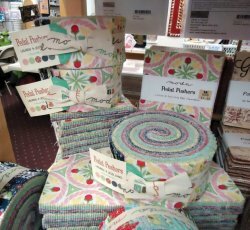 This new fabric line by Me & My Sister Designs for Moda is FUN. Wouldn't your BFF love a quilt made out of this bright and cheery fabric. Stop in the shop and see it in person. You know we will have you ROTFLOL! Designed by the Jungs for Moda, this line is their nod to the 1950's. This nostalgic collections features whispy florals, inviting bird houses, wicker prints and chevron vines. 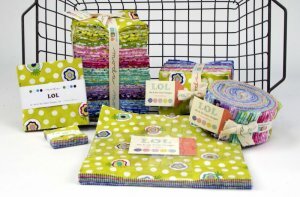 You'll see that it works well with a variety of solids so their will be no end to your creativity. Come get a scoop of buttons! Dig right in and get a wonderful scoop of assorted buttons for only $3.50. If you need to pick your buttons yourself, then they are only .15 cents each. Remember you can't pick individually to fill the scoop you just have to dig right into the bucket! This block of the month will start in November and runs for ten months. 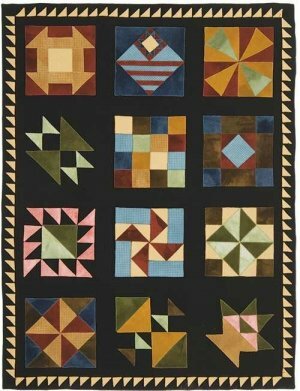 This is a beautiful applique and embroidery cotton quilt. 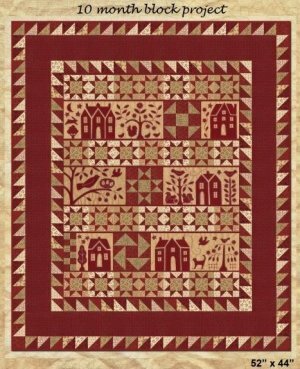 The applique blocks depict homes in a garden setting complete with cats, chickens, flowers and birds. In a rich red and tan fabric line designed by Kathy Schmitz. This is a beautiful 13-Month Pieced BOM which is all hand appliqued. 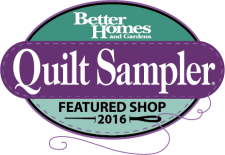 Each month, for 12 months, you'll receive the directions and hand-dyed wool for one block. The 13th month includes the wool for the border, sashing and saw tooth design. You can sign up for this one anytime. We have a few orphan precuts that need a good home.